Infinite maps give you independence from bounds of the map. 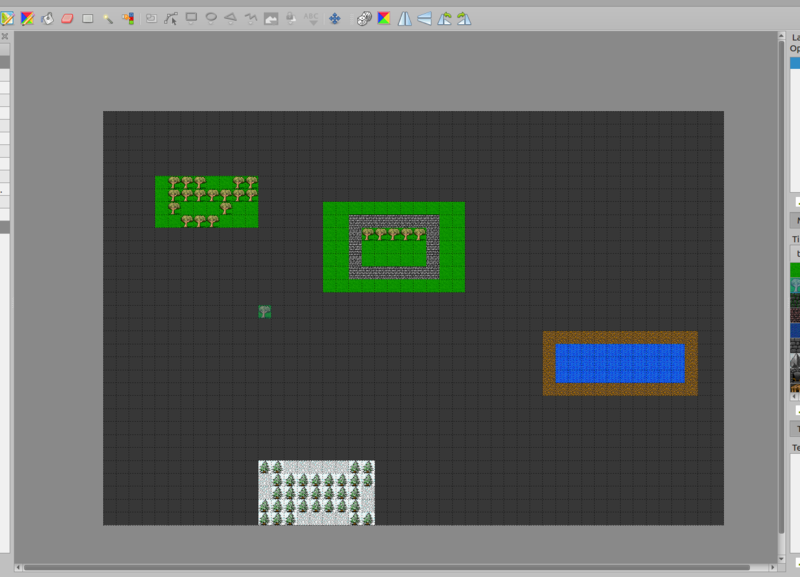 The canvas is “auto-growing”, which basically means, that you have an infinite grid which can be painted upon without worrying about the width and height of the map. The bounds of a particular layer get expanded whenever tiles are painted outside the current bounds. 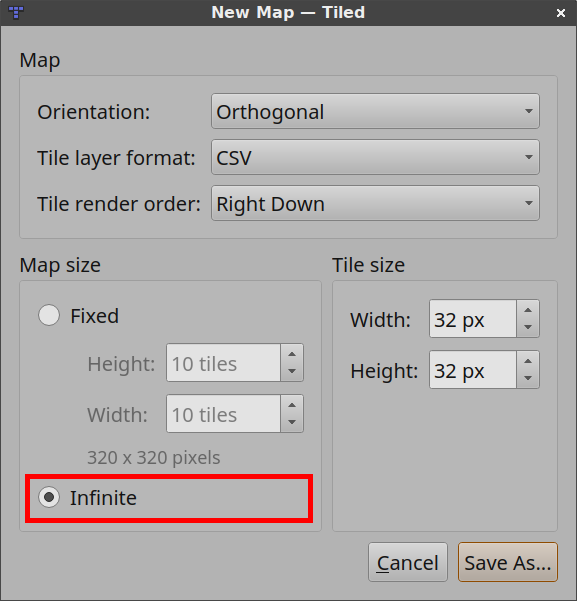 In the order to create an infinite map, make sure the ‘Infinite’ option is selected in New Map dialog. 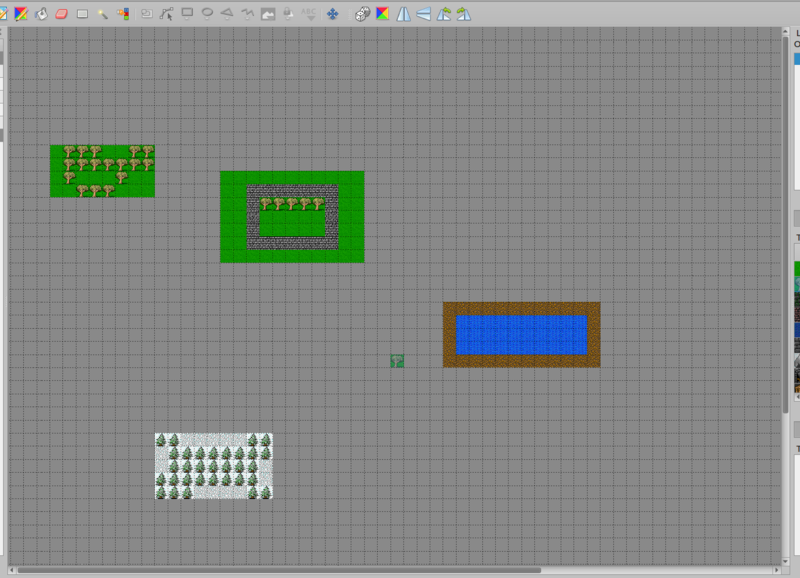 The newly created map will then have an infinite canvas. 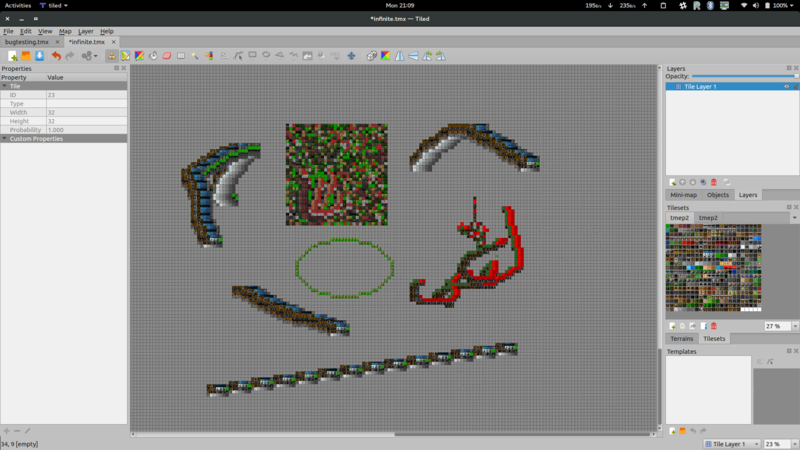 Except for the Bucket Fill Tool, all tools works exactly in the same way as in the fixed-size maps. The Bucket Fill Tool fills the current bounds of that particular tile layer. These bounds get increased upon further painting of that tile layer. 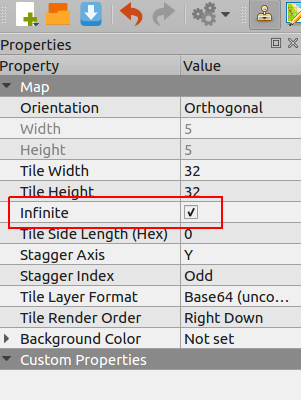 In the map properties, you can toggle whether the map should be infinite or not. When converting from infinite to a finite map, the width and height of the final map are chosen on the basis of bounds of all the tile layers.